- Made of zinc alloy, strong and durable. Elegant, concise and curved shape design, has excellent hand feeling. - Quality steel spring, stand wear and tear, easily applied and adjusted with one hand. 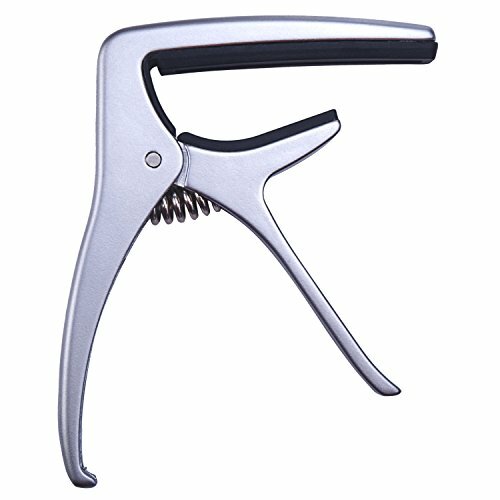 Acoustic Guitar bridge pin puller remover tool. - Quality silicon pad conforms to flat fingerboard and frets can ensure good sound and avoid scratching. - Excellent structure on the basis of mechanics theory design, easy to open, but can clamp firmly and easy to stay in tone.